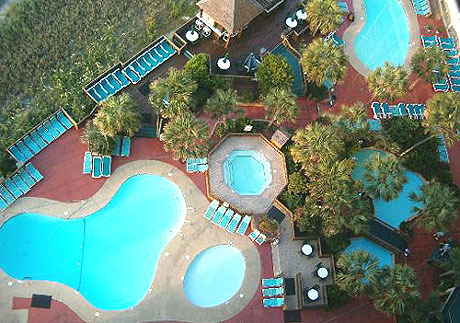 Located along the bustling South Ocean Boulevard, near Barefoot Landing in North Myrtle beach, the Beach Cove Resort is the ideal getaway for vacationers. This oceanfront resort offers superb accommodations for the most discerning of guests. Luxury, one-bedroom suites and two and three-bedroom condominiums are ideal for families or groups of any size. 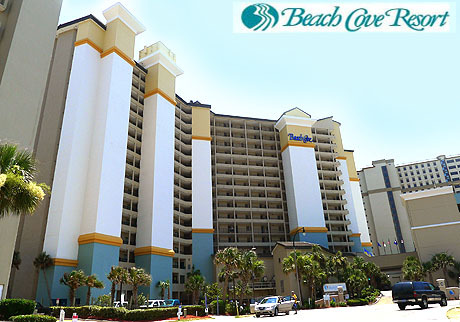 Read more about Beach Cove Resort real estate. Each condominium residence of the Beach Cove features a private, oceanfront balcony,climate control, free wireless Internet service, complimentary toiletries, and a fully equipped kitchen with a refrigerator, stove/oven, microwave and toaster. Located in the heart of North Myrtle Beach, Beach Cove enjoys a prime, central location to the area’s great array of shopping, dining, attractions, shows and nightlife. The beautiful, tropical surroundings of the Beach Cove property offer swimming, boogie-boarding, fishing and beachcombing. The beautiful, white sand beaches and calm waters of the Atlantic are just a few short steps away! 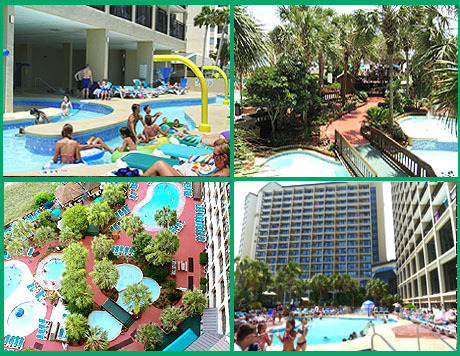 The on-site dining options of the Beach Cove include the Tradewinds Restaurant, which offers buffet and a la carte breakfast service daily, the Coffee and Martini Bar, which offers coffee drinks and cocktails and Breezes Pool Bar & Grill, which offers burgers, hot dogs, snack foods, smoothies and tropical drinks.